In a series of firsts for Mill+, this exciting cross-platform campaign for Audi created by our new friends from Creativeland Asia and Crocodile Films, sees the close collaboration of our commercial, VFX and digital teams to create a stunning stereoscopic television commercial and website highlighting the back-seat luxury of Audi Limousines to the Indian market. 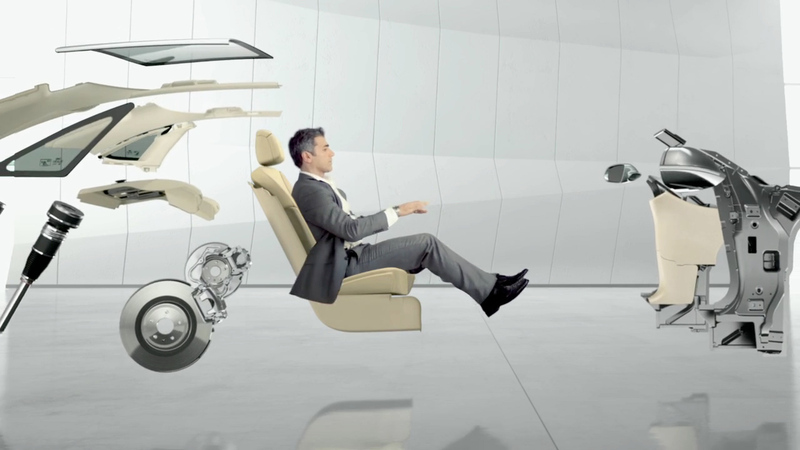 The 'Advanced State of Mind' is a campaign conceived and created by Creativeland Asia for the launch of Audi's most luxurious car, the Audi A8 L in India. The campaign promises to be one of the first integrated 3D campaigns that cuts across different screens. Understanding the Audi brand perfectly, having directed 'Coins' in 2009, Russell Tickner is an experienced director and 3D artist so was ideally placed to bring the ad to life. Andy Orrick, The Mill's Digital Development Director and executive producer of the campaign said, "Mill+'s Creative Directors Russell Tickner (Content) and Rodrigo Sobral (Digital) collaborated closely with Sajan Raj Kurup, Founder & Creative Chairman of Creativeland Asia and his team to work out the best way to approach this project and ensure seamless integration between the executions. We quickly realised that the web experience should be viewed as an immersive, interactive TVC extending the story online." The shoot itself was completed using a phantom stereo camera rig, monitored in 3D on the day. The Mill's CG team, lead by Suraj Odedra, and the Nuke Team, lead by David Lee, worked hard to create a spectacular photo-real car and environment rendered in 2D, polarized 3D for the TVC and anaglyph 3D for the web. Suraj explained, "We spent a lot of time positioning the objects so that we could make sure it felt as though they were coming out of the screen, as set in the brief by Creativeland Asia. Having Russell as an in-house director was great as it meant that he was on hand for animation reviews and changes, so we were able to turn shots around quickly and really give the audience that feeling of being immersed in the experience." 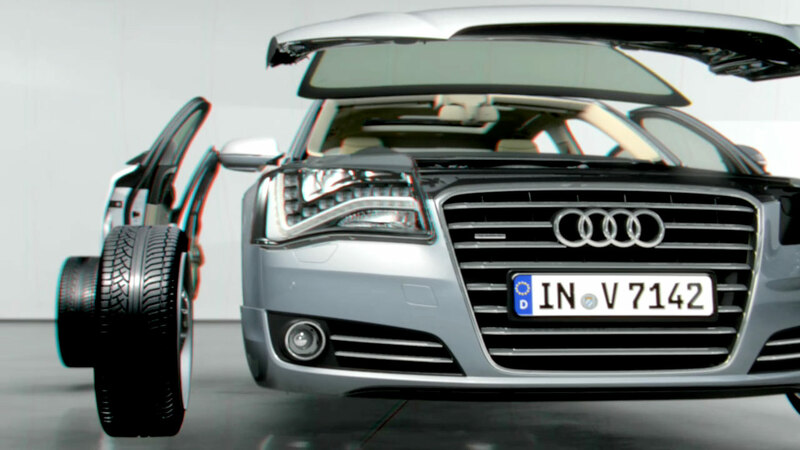 The idea for the website was to create a story that amplifies the campaign's message and allows users to interact with the Audi A8 L in a unique way. Together with the Team at Creativeland and Audi, we created an extended version of the TVC allowing the audience to experience and interact with the main features of the car, all in 3D. Beyond the beautiful interface, the trick was to create seamless diversions from the main video timeline all with the same level of finish, bringing The Mill's moving image craft to the web. "This is a landmark campaign for India. It was fantastic working with The Mill in the UK and Crocodile Films in India on this project. Such a flawless and fantastic execution of the Advanced State of Mind campaign would not have been possible without them. The collaboration was so seamless that it almost felt like The Mill was an extension of Creativeland. We enjoyed every bit of the action and I am certain we will do much more together in future." Sajan RaJ Kurup, Founder & Creative Chairman Creativeland Asia.